While creating course materials, I often need to insert images into my documents. I have long used Irfanview. I still think it is a great image editor. I found another viewer that I am currently using. 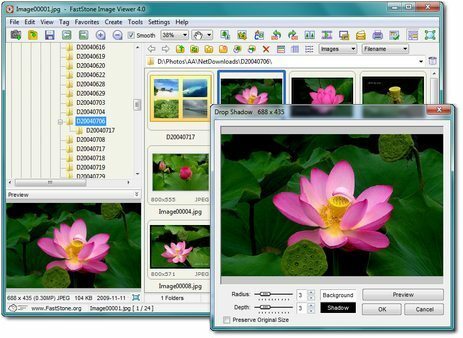 It is called FastStone Image Viewer. It offers a wide arrange of features related to images such including a full screen viewer, converter and editor. I think FastStone has a slight edge over IrfanView with more advanced features that include resizing, renaming, cropping, color adjustments, watermarks and more. Irfanview does all these, but FastStone offers more options to play around with. It also includes an intuitive full-screen mode that is superior to IrfanView’s. If you are looking for an easy-to-use image editor, I recommend you give both a try. They are both free and lightweight.